Stop the Car! Stop the Plane! 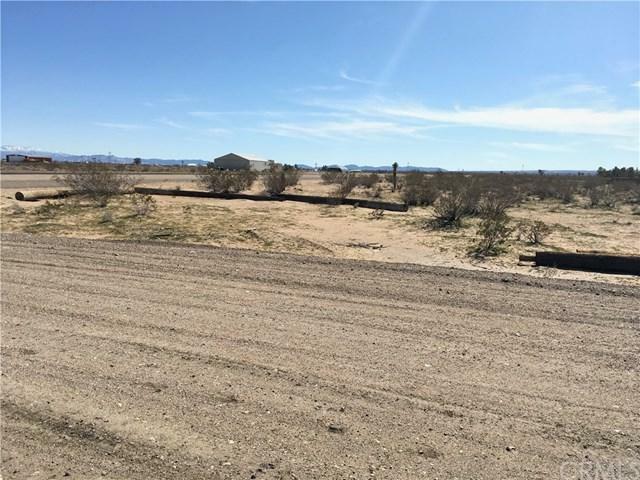 Put on the brakes for this rare opportunity to own a multi use lot conveniently located near the runway of the Adelanto Residential Airport Park which is a privately owned airport. Imagine landing your own private plane and parking it in a hangar on your lot, then take the horses out for a gallop or two, afterwards take a drive out for dinner! Possibilities! This lot is zoned for general retail use, residential, horse property, light industrial or manufacturing. Restaurants, shopping, Heritage Baseball Stadium, City Hall is conveniently close by. Note: APN #3129-461-34-0000, APN #3129-461-35-0000, APN #3129-461-36-0000 & APN #3129-461-37-0000 may be purchased separately or altogether. All information deemed reliable but not guaranteed. Assessor's dimensions were used to determine the square footage, buyer to verify.